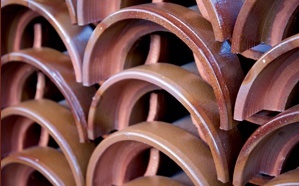 In 1906 Walter Thomas Knowles commenced the successful business of clay pipe and chimney pot manufacturing at its current Ashgrove Pipeworks site in Elland in the old West Riding of Yorkshire (now West Yorkshire) close to the industrial centres of Bradford, Halifax, Huddersfield and Leeds. The reason for the choice of this location was probably the local rich coal and clay seams and the proximity to the adjacent Calder & Hebble Navigation canal which links Wakefield with Manchester via a junction with the Rochdale Canal. A main arterial railway line passed less than a mile away and between them, the canal and the railway provided the company with excellent distribution routes for its products. Walter’s sons joined the business in the 1920s and by the 1950s they were running the growing business. About this time, the third generation family joined the company and by the 1970s they had taken control. Now the company is run by the fourth generation family. Shortly after World War II there were around about 80 individual chimney pot and clay pipe manufacturers; today there are only three clay chimney pot manufacturers in the UK. The massive project for re-building damaged and destroyed homes and after the war ensured W T Knowles had a major supply programme for its wide range of chimney pots over quite a long period. 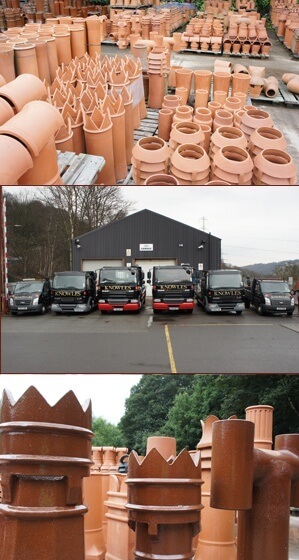 W T Knowles is the only privately owned manufacturer of chimney pots in the UK. Many of the traditional clay moulding processes from the early 20th Century are still retained, producing both glazed and unglazed products. The original kilns were all coal fired but today company has six down-draught beehive kilns five of which are gas fired with just one remaining coal fired kiln. 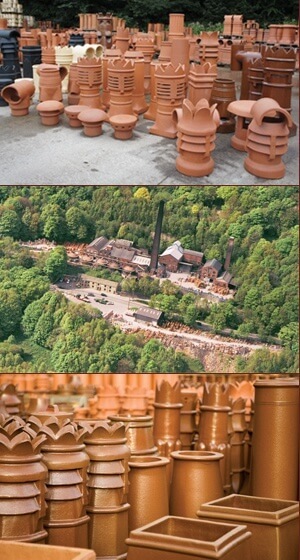 W T Knowles is the only UK manufacturer offering traditionally glazed chimney pots. The clay chimney pots are designed and manufactured to BS EN 13502:2002. 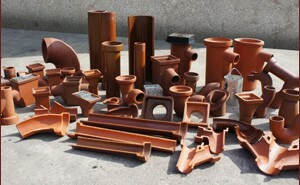 A very wide range of clay chimney pots have been tested and certified by BSI. A quality system to BS EN ISO 9000 is in operation. Distribution of products to stockists and merchants is largely through the Company’s own fleet of trucks with the distinctive black livery, proudly displaying the Union Jack flag emblem.